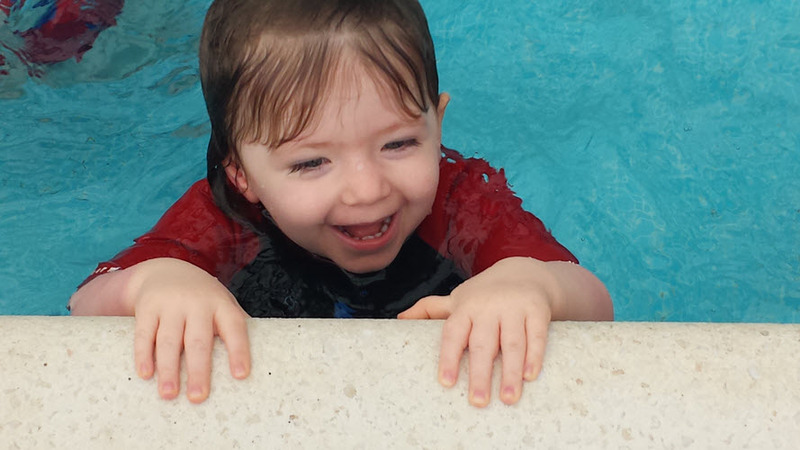 We are here to stay – Aquatots has been swimming babies and children since 1997 and have developed our business and Teachers to ensure we can continue to do this long term. With the vast number of pools that we have within our network, we are able to offer various lesson opportunities for swimmers who needs to change venue / class time when i.e. going back to work. 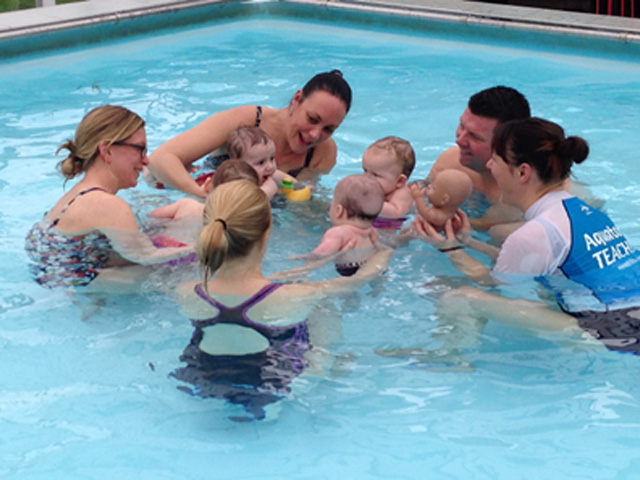 Small classes - of 5 - 8 babies, depending on the pool size. Even in the biggest pools, the max class size is 8(9), rather than 12 or more that some swim clubs do, to ensure quality tuition and the personal attention that your treasured family members deserve. In-pool teachers – Unlike some swim schools, you won’t see our Teachers standing on the side simply 'barking' instructions. Our Teachers will always be in the water with you, hands on, guiding you through your learning experience. *Water Temp – We will only swim babies in warm pools, hence not seeing us at your local leisure centre where it’s just a bit too chilly for those first underwater swims. For our baby lessons we will use pools of 31 degrees and over with most being heated to 33 degrees. *Parking – It’s no good hiring a pool with no close by parking for you. We don’t want to see parents walking for 20 mins carrying babies to lessons and therefore will always check out local parking arrangements before signing up a new pool. *Changing Facilities and Safety – We will also ensure that adequate changing facilities are available for everyone and provide baby change mats for babies to be changed safely on the floor rather than on dangerous raised surfaces, benches or tables. *Water Safety – All pool owners have a responsibility to ensure that the pool water chemicals are as required for the swimming of children. Aquatots, however we will never leave such an important requirement in the hands of others. All Aquatots teachers are trained in the chemical testing of pool water and will at the start and end of every pool day, test the water and check the temperature are within the parameters required for safe swimming. If a pool is not right, we simply won’t swim. * The correct pools aliigned with the class ability – We have different pools for different aged / ability swimmers and will always move our swimmers on to the most appropriate pool. We won’t have Toddlers jumping in shallow pools and we want our child levels to experience bigger, 15 to 25 metre pools giving them perfect opportunity to practise their distance swimming. And of course our Teachers are the best in the world ! - Read on to learn about our highly trained passionate teaching team. Training – Our Teachers undergo the most thorough and intensive training programme in the industry. 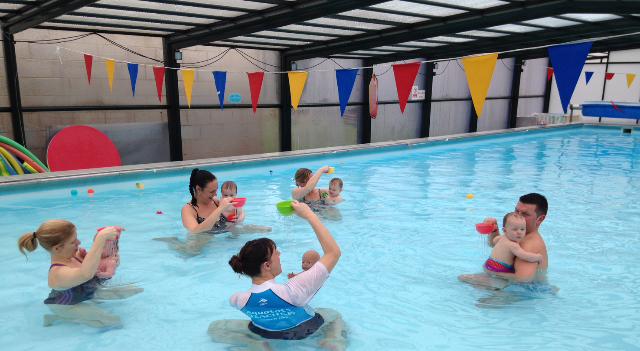 Aquatots Baby Teacher training spans a litle over 3 months, and consists of indepth classroom sessions and pool training scenarios. Teachers are submitted to a series of exams throughout their training. The examination delivery ensures each teachers' progress, is monitored recorded and if required corrected through out every step of learning, as they work towards graduating as an Aquatots Baby Teacher. The training delivery is over 100 hours of contact plus home study. Following on from our preliminary Assistant Teacher training, all Aquatots Teachers gain invaluable hands on training, working throughout an entire term under going further teacher training and assessments with one of our Teacher Development Trainers. Working as a Teaching Assistant, undergoing weekly assessments ensure our trainee Teachers have as much teaching experience as possible before delivering their own classes independently. Only once the Teacher has passed all sections of our Teacher Training Programme, is he or she invited to join our Baby Swimming Teaching team. Once a Baby Teachers have completed a few terms teaching babies,they maybe invited to undergo further training and enrol upon Aquatots Advanced Toddler Teacher Training. Only after gaining extensive experience of teaching toddlers may they be invited to apply for entrance to our Child Teacher Training Course. Aquatots Professional level training, provides and clear career path for all Teachers to progress through, and maintains an exceptionally low staff turnover. You may be rest assured knowing that your lessons are being provided by the very best Teachers delivering the highest level of training designed specifically for your childs age and stage of development. Your Safety in their hands – Our Teachers are all DBS checked and of course complete extensive First Aid and Rescue training on a yearly basis with testing to ensure they are fully equipped to deal with any situation. Nobody appreciates children’s needs / characters more than Parents - Aquatots Teachers are in the main, parents just like you, who have experienced the Aquatots programme first hand with their own children and therefore have the previous understanding of what makes an enjoyable learning experience while enhancing learning. Aquatots parents maybe reassured knowing that their Teachers are not only very highly qualified for training delvery, but have the experience of dealing with child behaviour know how to create a fun and most positive learning environment for the babies/ children. All of our teachers have swam with their own children before lerning to teach yours.